HOUSTON, June 6, 2018 /PRNewswire/ -- BBVA Compass, the U.S. subsidiary of global financial services group BBVA, announced today that Celie Niehaus has been named the bank's Chief Compliance Officer and a member of its Management Committee. As Chief Compliance Officer, Niehaus has oversight of all compliance activities for the whole of BBVA Compass, including the bank's Retail, Commercial and Wealth units. Niehaus is directly responsible for the bank's adherence with laws and regulations that govern anti-money laundering, consumer, investment and corporate practices, among others. Her expertise will be important in early identification of operational risks, assessment and mitigation. "Establishing a risk and compliance culture that is business-minded, driven to meet customer needs and collaborative is imperative for BBVA Compass as it seeks to continue its digital transformation," said BBVA Compass President and CEO Onur Genç. "Celie's years of experience doing this in complex regulatory environments across financial services channels - both physical and digital - will be key as BBVA Compass increasingly looks to digital channels for organic growth." Niehaus has more than 30 years' experience in risk management, all in the financial services industry. Most recently, Niehaus served as the Chief Compliance Officer for Capital One Retail and Direct Bank and Enterprise Services, and was also the company's Chief Privacy Officer. Prior to her time at Capital One, she held executive level positions in Compliance at E*TRADE Financial, Jefferson Wells and Bank One. A passionate leader and volunteer, Niehaus has served on many boards, some of which include OutLeadership, Operation HOPE, Inc., National History Day, Washington D.C.'s Signature Theatre and the Network for Teaching Entrepreneurship. 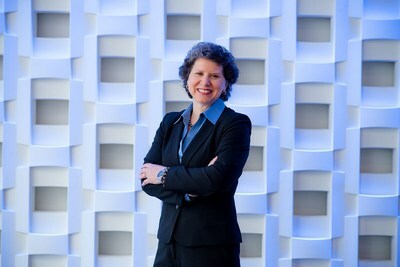 She presented, moderated, and served as a panelist on the first enterprise-wide LGBTQ+ Executive Panel at Capital One and championed and moderated the first enterprise-wide transgender panel, featuring non-executive associates. She personally promotes community involvement, and has taught financial literacy and entrepreneurship to over 1,000 youth and mentored youth in nearly 100 at-risk and low-income communities. Niehaus is a graduate of Eastern Kentucky University and the American Bankers Association National and Graduate Compliance Schools. She is further accredited as a Certified Regulatory Compliance Manager. To learn more about Niehaus, click here.